I've been a fan of Grafh since the early-mid 00s. The Jamaica Queens emcee cultivated a strong fan base through the mixtape game and released his debut mixtape The Oracle with DJ Green Lantern in 04. Grafh has been dropping tracks consistently since. Even though his 07 debut album didn't make a huge blip on the hip hop radar, he is still able to put together a solid mixtape. And while he might not have the recognition from the mainstream scene, he has been on tracks with some of the strongest emcees in the game: Raekwon, Murda Mook, Styles P, Loaded Lux, Joe Budden, Bun B, Royce Da 5'9, Papoose, Jadakiss, Crooked I and Busta Rhymes. Grafh has been teasing a follow up to his critically acclaimed 2011 mixtape Pain Killers for a few years now. 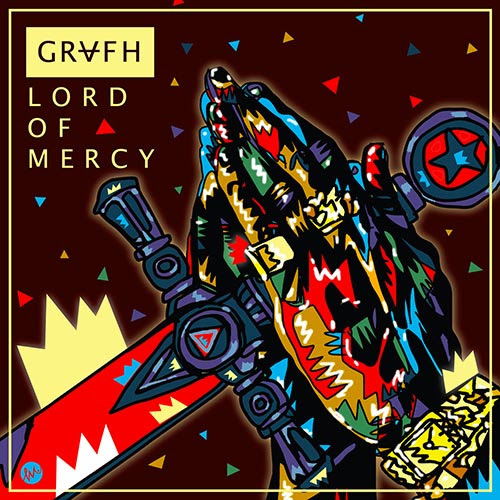 It seems that Grafh put some money into the production of the Lord of Mercy video, so that bodes well for those of us hoping that Grafh's Pain Killers 2 will hit the streets sooner rather than later. The single itself is a percussion heavy track with a sort of ominous tone. Grafh lays down his usual strong bars accompanied by a melodic hook. The video is very dark and takes place primarily in a church (playing off of the "lord" theme). The scene is broken up with different shots of Grafh hanging out on various blocks. Peep video for Lord of Mercy below. And just because, I'm also throwing up the video for Control (I'll Body You). The response to Kendrick Lamar's verse on the track Control.